A week is a long time at a Bird Observatory it turns out, with far too much happening (Directors' Meeting, Susannah's birthday, Grace having lessons in 'Big School' etc) since my last update to be able to squeeze everything in here. 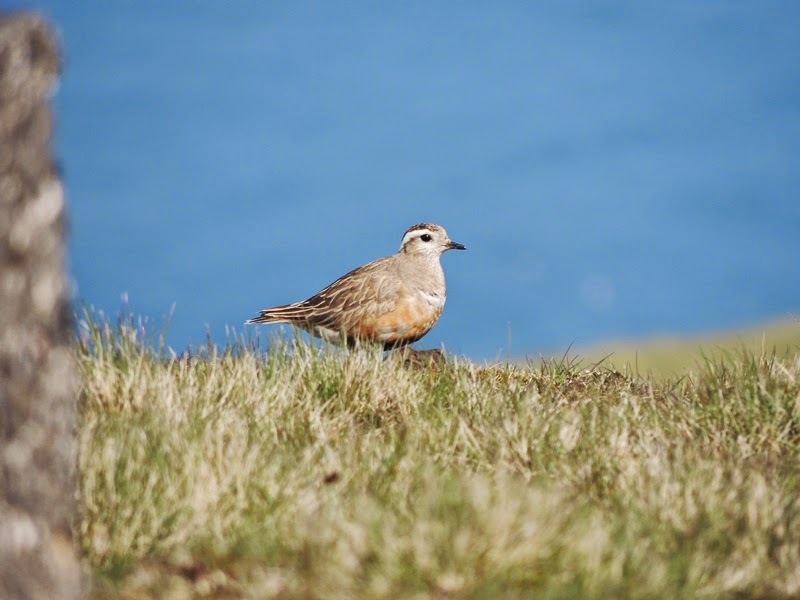 So, for a start, you can find the full list of bird sightings at: http://www.fairislebirdobs.co.uk/latest_sightings.html . Don’t forget that, as well as this blog and the website, you can follow FIBO on Facebook and Twitter, where Susannah (who is younger than me and therefore more technologically minded) posts regular updates on sightings and Obs life in general. 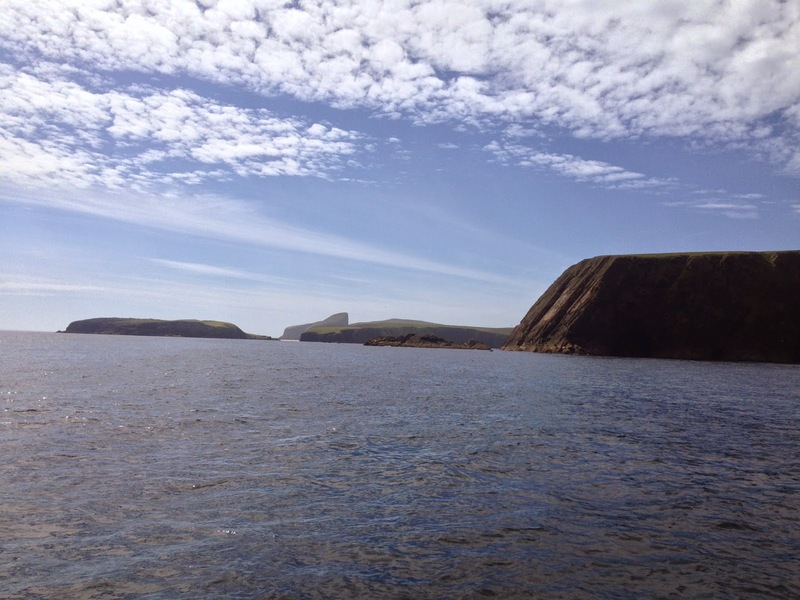 We’re always keen to make sure you can keep track of Fair Isle’s birds and the goings on of the Obs, so please do let us have any feedback on the sightings page, social media etc and if there’s anything else you’d like to see. The start of June has seen largely south-easterly winds (the predominant theme for the year it seems, but I’ve a horrible feeling there are going to be none left by the autumn if this keeps up), with glorious sunshine and very pleasant conditions interspersed with fog, poor visibility and the occasional day with rain. 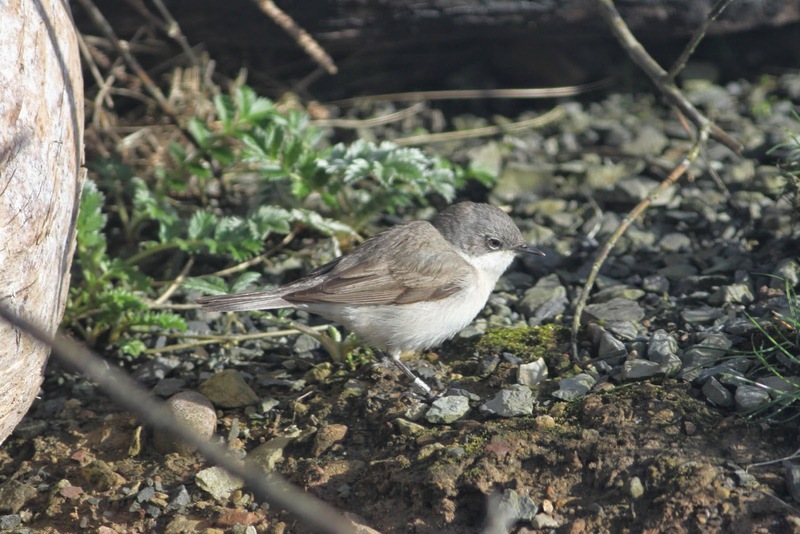 Lesser Whitethroats are amongst the species still passing through in small numbers. The winds have meant that what can be a potentially quiet time of year, as spring migration starts to slow down, has been anything but; with a reasonable scattering of common warblers and the likes livened up with some classic late-spring scarce migrants. Red-backed Shrikes had a particularly good run, with 2 on 4th increasing to 6 the following day and numbers gradually decreasing to 1 on 9th. 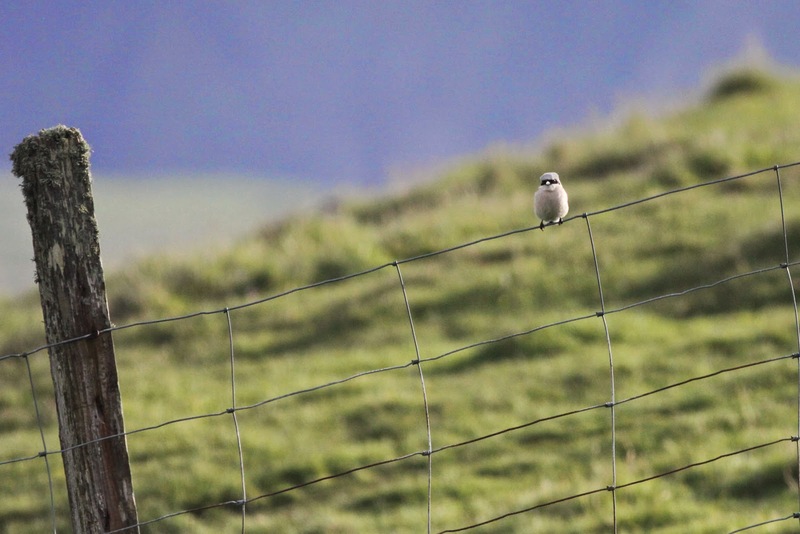 Male Red-backed Shrike at Pund on 5th, when 6 (4 male, 2 female) were scattered across the island. A couple have made their way into the traps as well (photo: Ciaran Hatsell). Another species typically associated with early June is Marsh Warbler and, after the first on 5th there have been daily sightings of up to 2 to 10th, with at least 5 individuals involved. 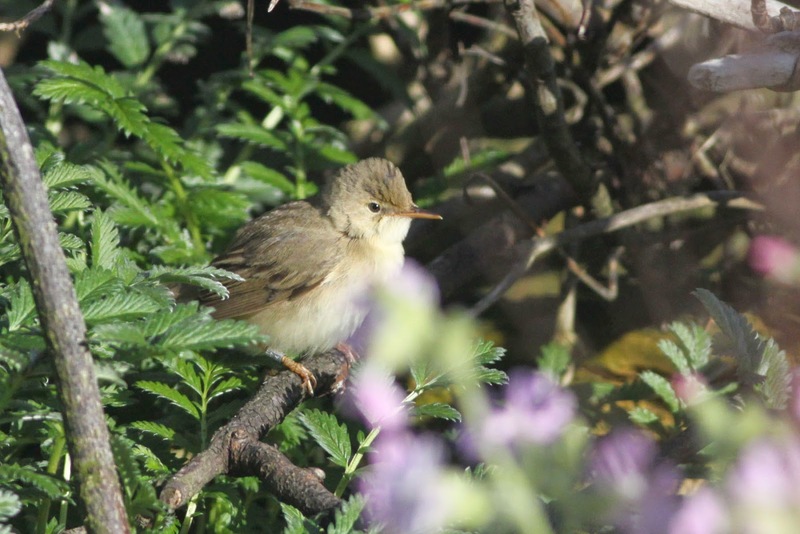 This Marsh Warbler has found the Warden's Garden 'habitat pile' to its liking and has often been seen from the kitchen window. Ringing has proved that there has been a reasonable turnover of Marsh Warblers (photo: Ciaran Hatsell). 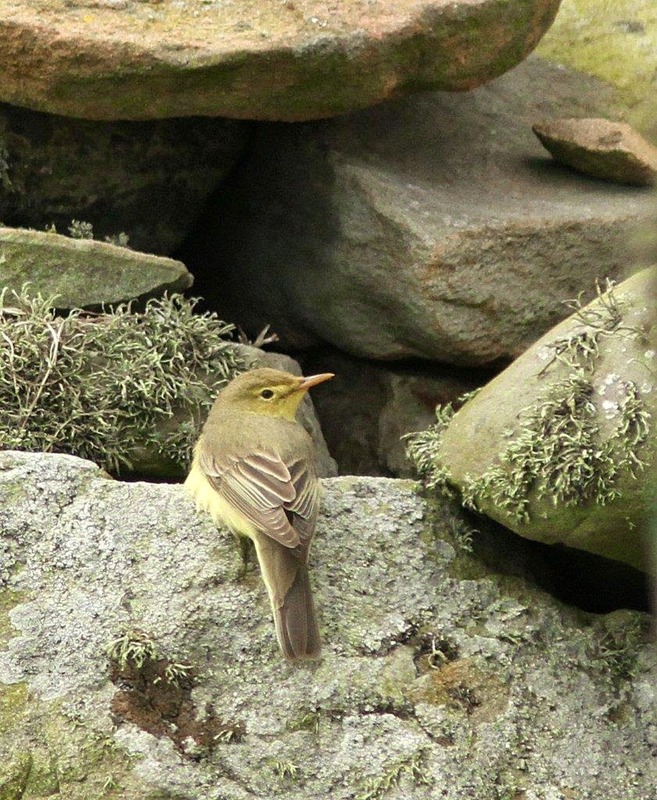 Other scarcities included Common Rosefinch (at the Haa on 9th, in what has been a quiet spring for the species), Icterine Warbler (5th-7th), Quail (possibly one of the birds from late May singing at Houll on 4th), Grey-headed Wagtails on 2nd-3rd and 7th-10th and a late Dotterel (5th). Some of the less expected commoner species have included 3 Black-tailed Godwit (7th with 2 on 9th), Fieldfare (5th), Cuckoo (2 on 5th and one on 8th) and Goldfinch 8th. The highlights though have been the Greenish Warbler in the Good Shepherd’s noost on 6th (initially found after fog caused the Guillemot count to be abandoned, it was elusive for most of the morning, before showing well later) and a tremendous day on 9th, when fine conditions saw a Honey Buzzard and Hobby both pass south, whilst a Great Spotted Woodpecker in the south of the island was probably the least expected find of the day (there having been less than a dozen previous spring arrivals, none of which have been in June, although a couple have lingered into the start of the month before). 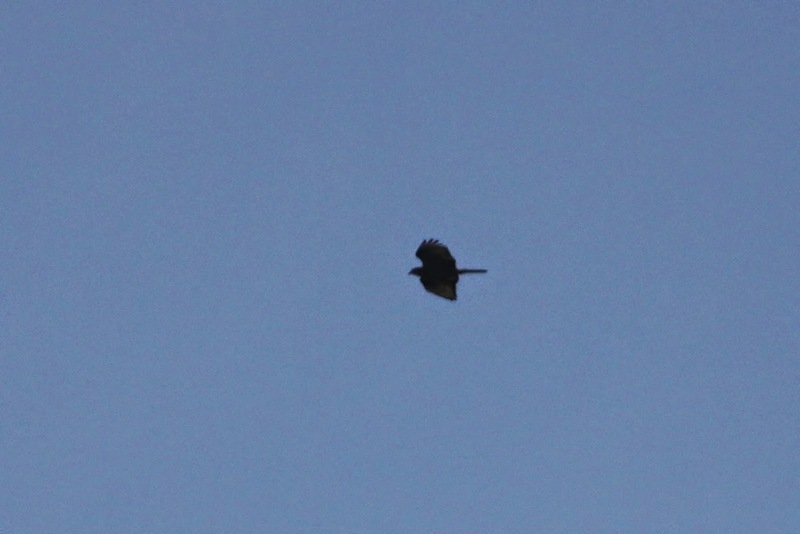 Honey Buzzard heading south. Unlike the previous bird, this one was in a bit of a hurry and headed south with just a couple of pauses for circling and gaining height over the island. With a missing tail feather and secondary on the left wing, it should be possible to find out whether it was the same bird seen moving south over Shetland earlier in the day. Technically also in the ‘highlights’ section was the Gadwall on Da Water (10th), although a drake Gadwall going into eclipse, barely visible through thick fog, struggles a bit when lined up alongside some of the other birds this month. Amongst the old favourites, the Caspian Stonechat hasn’t been seen since May, so has presumably moved on, whilst the Kumlien’s Gull was last noted on 7th. The gull featured in the last blog post seems to be most likely to be a Herring x Lesser Black-backed Gull hybrid, with several people who are familiar with such pairings having been in touch. Thanks to everyone who commented on that interesting bird. I’ll try to do a summary of the seabird season so far shortly, but it actually looks relatively promising (although the next few weeks seem like a long time for things to stay positive given the recent performances of most of our seabird species). Other breeding news included the first fledged Fair Isle Wrens of the year from 2nd. One of several Razorbill chicks seen during colony visits this week (photo: Ciaran Hatsell). It’s been a good time for other wildlife, with an amazing cetacean day on 7th producing around 15 Killer Whales seen from a yacht 20 miles east of the Isle, 4 Porpoise and an unidentified whale seen from the Good Shepherd and an unidentified dolphin off the south end. Migrant insects have also been much in evidence, with 5th producing a large fall of moths, involving several Silver-Y and thousands of Diamond-back Moths (along with another Green Lacewing), whilst 16th saw 16 Red Admirals and a Painted Lady arrive. So, that’s me up to date, although it feels like there’ a lot I haven’t told you about, but no doubt there’ll be more happening soon (although I’m hoping 11th is uneventful on the bird front as I have to spend most of the day in Orkney on a fire training exercise). There is a Season, Tern! Tern! Tern!